Business is good in the middle market — 9.2% revenue growth, 7.5% employment growth, and optimism is high. But this sector’s fast growth has a downside. As companies transition in size from a small business to a middle market firm, employee engagement declines 11.5 percent. One thing’s clear: Middle market companies need help with their people strategies. 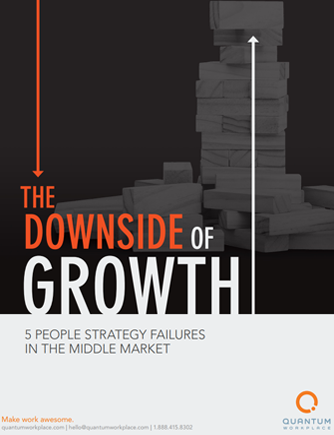 This report takes a closer look at the five areas where the middle market lags behind. And, it offers insights and executive strategies for improving the heart of the business: it’s people.